The lake area has more adventures to explore and things to do . . . let's take a look. Boaters really enjoy the lake. Besides the fishing boats, one sees a variety of pleasure craft from sailboats to pontoons to individual watercraft. The picture is taken near Scott Creek ramp. The Lake is also known for excellent fishing; it's a good place to catch muskie and other varieties. 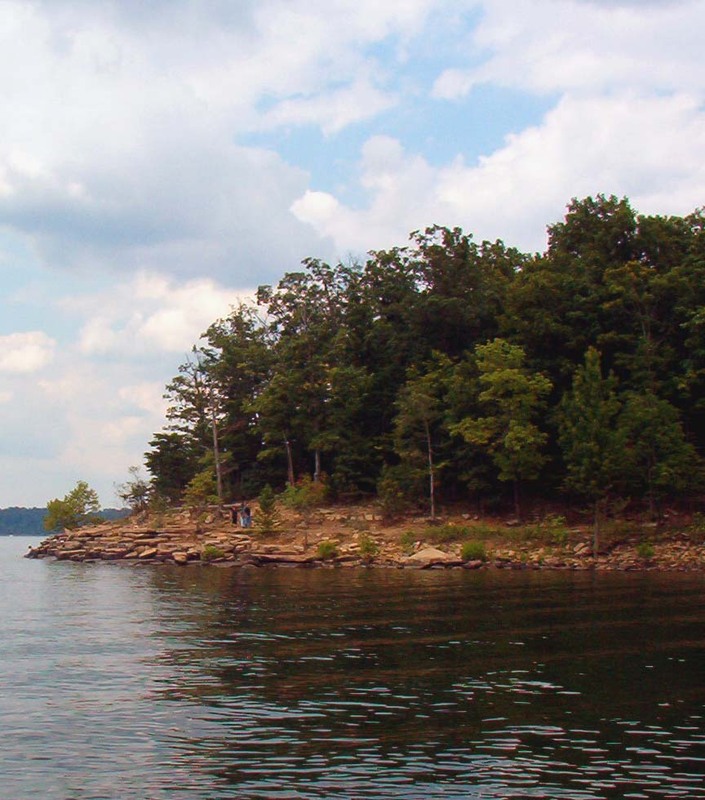 Cave Run Lake has many miles of shoreline and many points at which to launch boats. The picture at right is taken in the vicinity of Cave Run Dam. On a pretty day in Morehead one of my favorite things to do is to drive out to Linda's Country at Heart on Highway 801, just a few minutes away from the Farmer's exit. 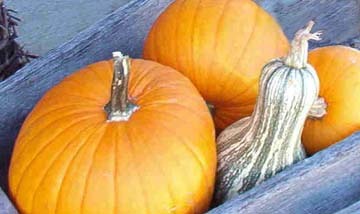 Linda's shop is jammed full of clever crafts and seasonal items; it takes a while to go through everything. Linda's shop is just one of a group of businesses near the Lake that cater to both the Cave Run Lake visitor and locals out for a drive. 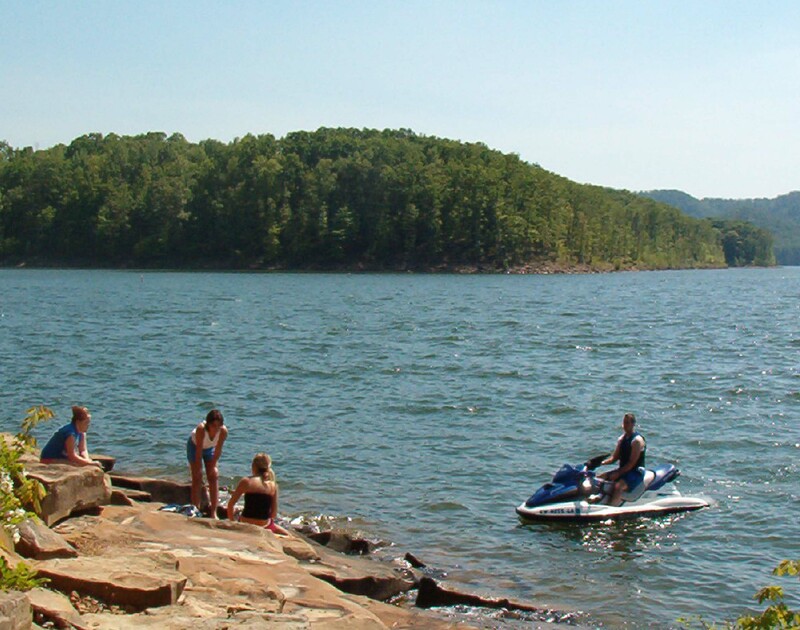 Another of my favorite activities on a sunlit afternoon is to go down to the Lake with a cooler and snacks and watch the many boats at Cave Run being launched. Various special events are held each year at the Lake. 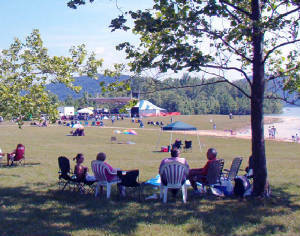 The picture at the side is of a Blues Festival held at Cave Run Lake. In September there is always a storytelling festival. And you can just imagine the beauty when fireworks are set off at the Lake in July. You can find out more information concerning these events from the Morehead Tourism office. A link to the office may be found on the first page of this site.